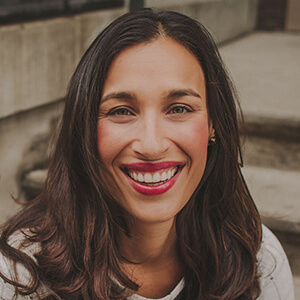 Leila joined Diversity Lab with over 10 years of experience in the legal field, as a law firm associate, in-house counsel, and coach and consultant to law firms and associates. Leila began her career in the corporate practice at Mayer Brown’s Chicago office. She then spent three years practicing in the in-house legal department at Kraft Foods, supporting the global contracting needs of Kraft’s procurement and outsourcing teams. When the call of the mountains hit, Leila took a role as the first and only US in-house counsel for a global oil field services company in Denver, supporting all of the company’s US legal needs. Throughout her legal career, Leila supported a diverse legal workforce by creating and managing internship programs for diverse candidates and taking an active role in affinity groups for women and diverse counsel. In 2015, Leila completed her professional coaching certification with the Institute for Professional Excellence in Coaching and began a successful private coaching practice. Leila worked with several law firms and legal groups to develop professional development curricula geared toward business development and enhancing the “softer” skills required to advance in today’s professional world.